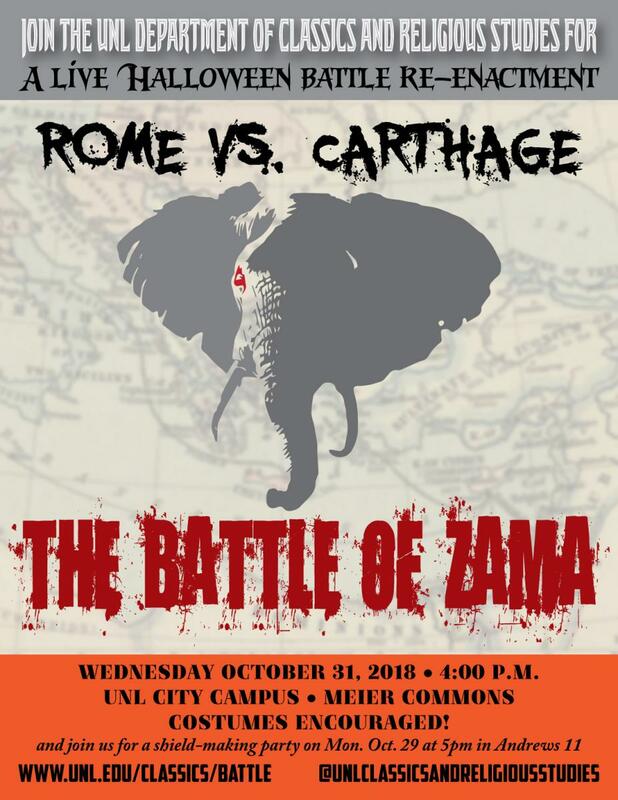 Since 2015, the Department of Classics and Religious Studies has hosted an annual Halloween battle re-enactment, which is a student-planned and -performed recreation of a major battle from Classical antiquity. The battle gives students a more interactive and entertaining learning experience apart from regular classroom lectures. It is a chance for students to bond and to learn more about the department and major. Come in costume and participate! Refreshments will be served afterwards. There will also be various contests and prizes, so bring your best war face and you just might win!